Welcome back my travel giraffes! If you follow me on Instagram, you would have seen that I was recently in Lisbon. 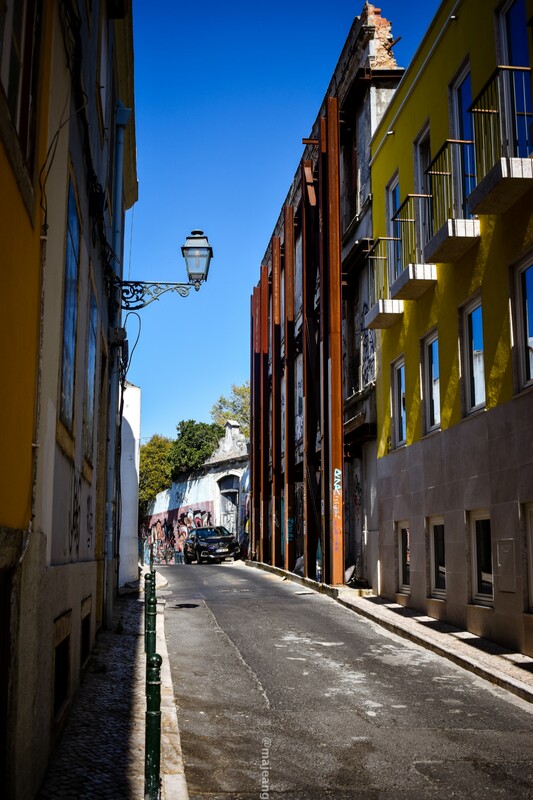 Of course, I must give you my best tips and places to see, so here’s my suggestions on what to do in Lisbon. I really didn’t do much research prior to the Lisbon. Sometimes I find loosely planned trips turn out to be the best, like my Nice trip. Anyway, I didn’t realise quite how many castles there were in Lisbon or in Portugal for that matter. So first up on this what to do in Lisbon guide it’s all about castles and palaces. We will start with the famous one, Pena Park Palace. A train ride away from Lisbon, it takes about an hour to get to Sintra and then a bus ride up to the castle. One of the few things I did research was the best route to the castle and it didn’t include hiking. My friend wanted to hike up and I said not a good idea! Fortunately, we took the bus and was very grateful that we did because it isn’t an easy climb nor, safe. This colourful palace with its immense gardens are absolutely stunning. The grounds are immense and it will probably take a full day or 2 to really explore all there is to see. Going inside the palace, a lot of what was open to the public has been preserved so you really get the feeling of how it was back then. In the courtyard, the views are breathtaking. We purchased tickets via an app called Tiqets and got a discount off the price. Cost: 5 euros for a return train ticket from Lisbon; 434 Sintra Tourist bus, 6.90 euros return; entry to Palace and gardens £14 via Tiqets app. I have to be honest, we didn’t go inside the castle because the queue was ridiculous and we were hungry :). That being said, you can still roam the grounds which are impressive. Takinga hop on and hop off bus tour is good for 2 reasons. Firstly, you get to find out about the history of a place in a concise manner. Secondly, you see so many sights that would have required individual trips. Here’s what I learnt, we can think them for coming up with earthquake proof buildings. They have very close ties with Spain and a huge Islamic influence. If you look at their language, food and the tiles they’re famous for you will see the influence. Whilst it’s not the best, it certainly is informative which makes it worth it. I had to add this activity on my what to do in Lisbon guide. Its, taking a ride on the finnicular. This is a must when visiting Lisbon. It isn’t a long ride, matter of fact you could walk up the hill but you do it for the experience. Plus the photo opportunity is hard to pass up. There are plenty of places to get a bird’s eye view of Lisbon. There are a couple of roof top bars dotted around Lisbon where you can enjoy a cocktail watching the sun go down. However, if you’re looking for something different, go to the Santa Justa and ride the lift up. The lift only takes around 20 people at a time so get there just as it opens or, just before it closes. The structure was built by a fan of Eiffel, so there are a lot of similarities with the Parisian tower. There are so many more places to explore but I couldn’t get to them but hope you enjoyed my what to see in Lisbon guide helps you. Have you been to Lisbon before? What do you think of my guide? Let me know in the comments below. Look out for next week’s post on where to eat in Lisbon. As always, thank you for reading and leaving a comment.